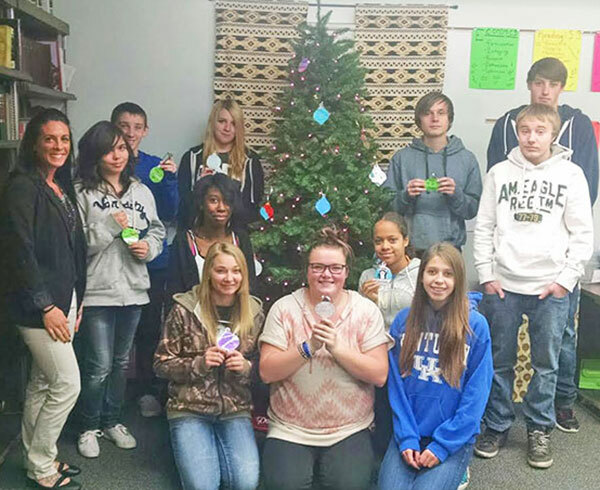 Tag Archive | "Make Change Campaign"
Teacher Laura Chilcote (Left) with high school students and their ornaments for their wish tree. 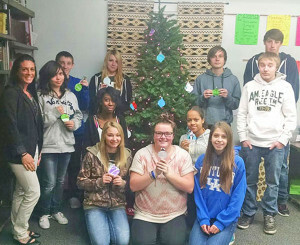 All too often we hear the question, “What do you want for Christmas?” This year, CTA students in Ms. Chilcote’s FIT class were asked the following question instead: “If you could make one wish for others this holiday season, what would be your Christmas wish for the world?” Their answers displayed their kindness, which was a recent focus for our Character Trait of the Month, and creativity. Brin C. (9th grade) “For people to have enough food”. 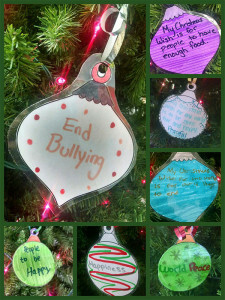 A few ornaments the High School students made of their wishes for the world.